Discussion in 'K-POP' started by yeesam, Jul 19, 2018.
violetmoon, JenChaeLiSoo, Love__Peace and 12 others like this. violetmoon, JenJennie7, Rolex and 1 other person like this. violetmoon and KookievsCookie like this. violetmoon, Flipflopsodapop, YG_STAN_FOREVER and 4 others like this. suiram and Rolex like this. Kris_tee, violetmoon, BiancaMcGraw and 9 others like this. Kris_tee, BiancaMcGraw, Seinn and 8 others like this. how are u not banned yet do reports not work anymore? Kris_tee, violetmoon, Seinn and 7 others like this. Rolex, dontmindme2 and CoolHotSweetLove like this. considering that lisa's ig account was stuck for a long time the day they opened their accounts but she still manged to be one of the most followed with the most likes and less posts shows that she is lowkey the most popular member. Kris_tee, AMGOAT and Chaittra like this. 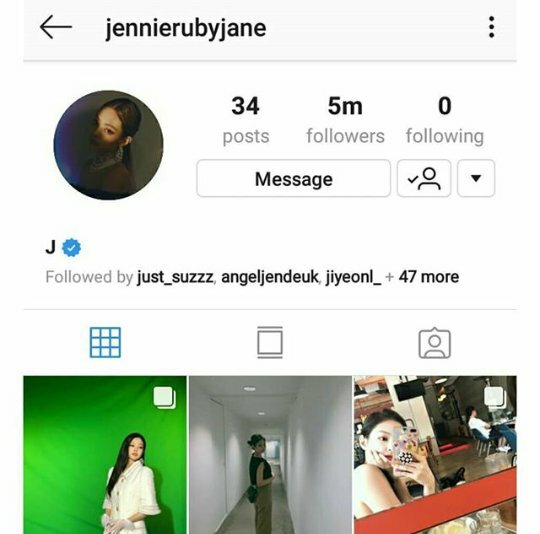 BiancaMcGraw, JenJennie7, Rolex and 2 others like this. violetmoon and JenJennie7 like this.